As of 1970, lithium received FDA approval as a treatment for acute mania, soon to be followed by a 1974 approval for bipolar disorder treatment. Bipolar disorder can be a lifelong condition so lithium is typically used as a long-term, maintenance therapy, according to Drexel University. Consequently, its use as a maintenance therapy predisposes patients to the long term effects of lithium. Lithium exists as a natural, salt-based element. As a treatment medication, lithium improves communications between brain cells in people with bipolar disorder. Long term effects of lithium stem from the drug’s mechanism of action in the body. As standard dosing schedules are needed to produce the drug’s therapeutic benefits, improper dosing can also contribute to the occurrence of long term effects of lithium. With an atomic number of 3 on the periodic table of elements, lithium is classified as an alkali metal with salt-like properties comparable to sodium and potassium. These properties enable the drug to alter sodium transport mechanisms in and out of the body’s cells. In doing so, lithium’s effects enhance communications between cells throughout the brain and central nervous system. According to the Dana Foundation, lithium’s effects also increase serotonin availability in the brain. Serotonin acts as one of a handful of neurotransmitter chemicals responsible for regulating mood states. In effect, lithium activates serotonin-producing cells to release serotonin while enabling receiving cells to better absorb available serotonin supplies. The long term effects of lithium develop out of the drug’s effects on cellular activity over the course of years of treatment. The risk of contracting long term effects of lithium varies according to each person’s physiological make-up. 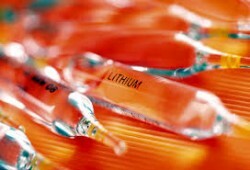 According to the Mayo Clinic, lithium’s effectiveness relies on a strict dosing schedule that works to maintain steady levels of the drug in the bloodstream. Doses must be taken on a daily basis at regularly spaced intervals. On average, it takes from four to five days before steady levels of lithium remain in the bloodstream. In order to be effective, lithium blood levels must remain within a certain range that’s small and can be difficult to maintain. Consequently, patients must undergo regular blood monitoring to ensure lithium levels remain within the target range. This strict requirement accounts for many of the complications encountered with the drug as patients often undergo multiple dosage adjustments before the optimal dosage level is reached. The difficulty in maintaining lithium blood levels within a certain range often leads to over-dosing in an attempt to reach the target level. Lithium toxicity results when too much lithium flows through the bloodstream, according to the U. S. National Library of Medicine. The likelihood of over-dosing is especially high at the start of treatment. Lithium toxicity accounts for many of the long term effects of lithium as too much lithium can actually cause damage to major systems throughout the body. As patients may require multiple adjustments throughout the course of treatment, lithium toxicity can occur several times. Symptoms of lithium toxicity require immediate medical attention; however, the risk of developing long term effects of lithium remains even in cases where a person does receive needed medical attention. During the course of treatment, lithium alters thyroid function in many ways. The thyroid regulates metabolism processes and secretes essential hormones to accomplish this task. Goiter appears as the most common long-term side effect of lithium, occurring in five percent of people taking the drug. Lithium’s ability to alter sodium transport in and out of cells can impair renal function when taken for long periods of time. In effect, lithium prevents the kidneys from concentrating urine, causing the kidneys to excrete excess amounts of the body’s water content, according to the Neuropsychopharmacology Journal. Impaired kidney function can cause sodium deficiencies in the body as well as excessive fluid loss. This long term effect of lithium can occur in up to 50 percent of patients of who receive long-term lithium therapy. For most people, normal kidney functions resume after discontinuing lithium; however, in five to 10 percent of cases, the condition is irreversible. In cases of lithium toxicity, the risk of brain damage can run considerably high. Resulting damage to the cerebellum can leave a person permanently disabled. This long term effect of lithium results from the drug’s interference with nerve cell signal transmissions. Lithium’s effect on brain cell chemical activities accounts for this interference factor. For people who remain on lithium therapy for months or years at a time, abrupt discontinuation of the drug can cause a relapse episode. 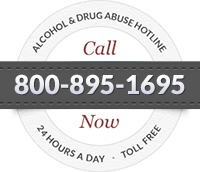 Relapsing after being on lithium can cause serious problems. In effect, relapse leaves patients in a worse condition than before starting lithium treatment. As a long term effect of lithium, future mood swing episodes related to bipolar disorder increase in severity. Bipolar episodes also occur on a more frequent basis. In some cases, this long term effect of lithium may create a treatment-resistant form of bipolar disorder. According to US Elsevier Health, regular monitoring of blood, thyroid and kidney function offers the best way to prevent the long term effects of lithium from developing. While regular lithium blood level monitoring is part of the lithium treatment regimen, thyroid and kidney monitoring is not a required part of the treatment.